After your surgery, you want to be sure you are doing the right exercises at the right time and in the right way. 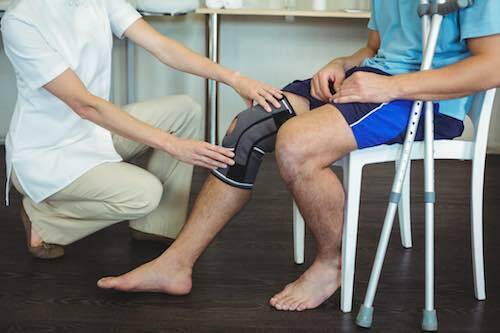 It is normal to be apprehensive about your rehabilitation but our expert team of Physiotherapists can help guide you through each stage of your recovery from early care to return to activities and sports. We will work closely with you and your surgeon to ensure you are receiving the best possible post-operative care towards optimum function and full health. Evidence has shown the benefits of Physiotherapy prior to Orthopaedic surgery. We recommend pre-surgery physiotherapy to ensure a better recovery process. After assessment you will be prescribed a pre-op exercise programme to maintain function and strength as well as prepare you for your post-surgery programme. Physiotherapy post Orthopaedic and Uro-Gynaecology Surgery is key to optimum recovery. After surgery and through your recovery, our experienced physiotherapists will assess your mobility, strength and function. According to the different phases of healing, your progress and goals, the physiotherapy will prepare with you a rehabilitation exercise programme. We will liaise with your surgeons accordingly during your treatment.